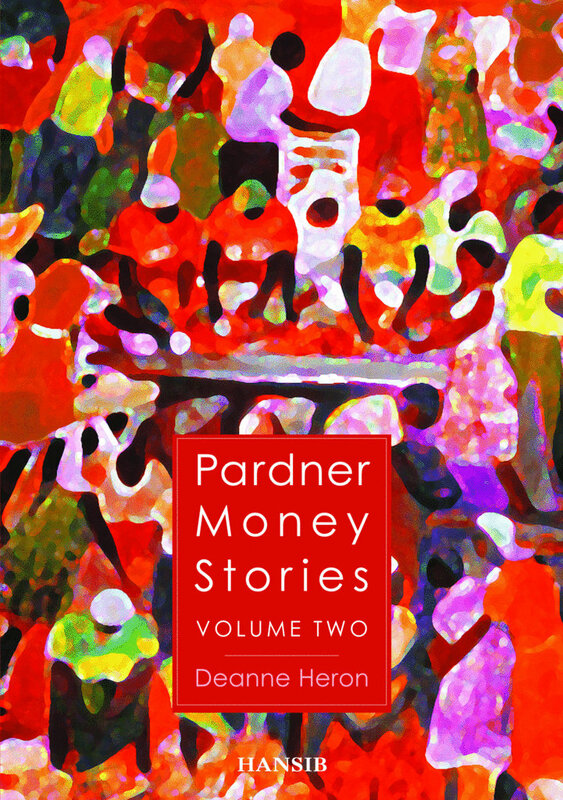 Glenville Ashby reviews Deanne Heron’s Pardner Money Stories: Volume 2 (Hansib Publications) for Jamaica’s Gleaner. Deanne Heron may have just found a magical formula of a literary kind. The sequel to her quietly riotous Pardner Money Stories explodes with relentless comedy and a more than healthy dose of Jamaican patois. By the time Heron offers the final tale swirling around her endearing family, readers, unfamiliar with the island’s argot are sucked into its linguistic orbit. Volume Two lumbers out. It is a slow and pedestrian start, that, for one unfamiliar with Heron’s comedic talents, may have begun to wonder. But Volume 2 gathers momentum, leaving Driving me mad behind, and gallops with flair, originality, and unrivaled wit. It is a joyous ride featuring a Manchester family that is culturally Jamaican and distinctly Caribbean. Heron recounts tales that are rich, heart-felt and peppered with side-splitting humour. Verbal jabs laden with patois do not truncate the book’s overall appeal and fluidity. “Gwaan,” “Inna,” “Fi,” “Pon,” come at you with abandon, perplexing the ‘outsider’ in the process. But its dizzying appeal is undeniable. After a few chapters, the uninitiated will surely get a handle of things and savour the lingua franca. Heron’s sequel, scintillating with humour, carries an over-riding social message that is absent from Pardner 1. That religion continues to be integral to the Caribbean family is invariably played out. Not that each member is sold on the God question. There is a tinge of doubt expressed, and at times, the historical version of God,vis-à-vis the black experience is raised. Yet, there is acknowledgment of “something” up there that listens to your supplications. Heron recalls her upbringing in Jamaica, and the influential role of her grandmother. Calling on Jesus when one is in a predicament is sown into Heron. To the harangued soul, it seems to work, always, like magic. Heron recalls the days when respect for elders and discharging of one’s responsibilities were expected, a far cry from today when children assume the role of adults. Black pride is rife with the election of the 44th president of the United States, reflected in the family matriarch’s congratulatory letter to the White House. It is an occasion that tears down regional barriers and italicises black awareness, globally. Interestingly, injecting patois as an indelible part of identity bolsters the relevance of Heron’s work. “But when we was likkle an’ growing up, my maddah used to beat us fa speaking patois and tell us fi speak English. Bwoy times change eeh?” Cousin Babsie noted, followed by: “Well, all I know is, I am going to buy the first copy of the patois bible, yu hear Ferdie?” Cousin Myra said. Race and the ugly psychology behind colour consciousness and bleaching – a global phenomenon – is also addressed. It is an intriguing discourse until it devolves into an incredulous theory on the origin of the white skin, courtesy of a slightly inebriated relative who injects levity to a bitter-tasting subject. Hair texture, wigs, and black women become another important subject, a touchy one, at that. What does concealing one’s natural hair say about self-image and identity? Kelly, confronted with the subject by non-black women, skillfully responds. Life’s lessons cascade without an iota of psychobabble. Passion, hurt, pain; the tragedy of abandonment, and the sterility of urban life are openly discussed. Amid all the strains, this is a family that gives back to the community. When a flood sweeps through Manchester, leaving a path of destruction, the family goes to work. From peril cometh something good, according to Heron. This is a family that remains brash and colourful, but warm and sensitive. Cousin Babsie, Ferdie, Michael, Cousin My, JJ, Kelly, Shari, and Mala are unique and easily distinguishable in style and philosophy. But they are close-knit, and the consummate island family in Manchester, England, with little appetite for relinquishing their Jamaican roots.